In order to move your belongings in a safe manner·, they need to be packed properly. But, do you know how to pack your items? You don’t have to! Let us help you prepare your items for transportation instead! Our packing services NYC are specially created to satisfy all your moving needs, and all that at an affordable rate. All you have to do is to give us a call – and we will take care of everything else! 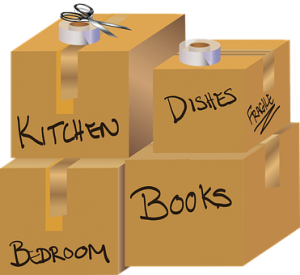 Our packing services NYC are created to help you move hassle-free! When you choose Heart Moving Manhattan NYC for your packing needs you have a chance to work with one of the best teams in NYC. When it comes to equipment, skills, knowledge, commitment to costumers and packing supplies our moving and storage company is your best choice! We are not just experts in moving and storing, our agents are highly trained for packing and unpacking services. So, you can be sure your belongings are safe and secure during the moving process. It is good to know you can count on quality packing services NYC. Give us a call and we’ll pack as much space as you need – in your home or office. Our packing services NYC are available for moving and storage needs. Besides professional packers, you can count on quality packing supplies such as cardboard boxes, packing tape, stretch wrap, etc. Packing is definitely the most stressful part of the moving process. If you are not skilled to take care of everything on your own, you probably need professional assistance. Our professional packers are specialists highly trained and equipped to achieve the perfect pack. Also, we offer you a wide array of packing services NYC to suit your needs and budget. If you are not sure what exact services and supplies you need for the packing process, give us a call and our representatives will give you all the information you need. Our Manhattan movers are ready to help you with your packing process. You just need to choose the level of packing help you need. There is a packing option for everyone. If you are not sure which packing option is the best for your needs, we’ll give you answers and help you choose the right service. This option is a perfect choice if you really hate packing and you need someone to pack your entire home or office. Our agents we’ll come to your address to pack all your belongings in specially designed and high-quality moving boxes. Also, we bring all necessary packing supplies such as tapes, paper, wrapping materials, etc. Then, you can also use our services for safe and quick unpacking while you can sit, relax and enjoy your coffee and meal after the hard moving process. With full packing services NYC, your moving day will be the best day ever! 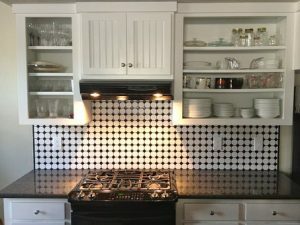 Because the kitchen is one of the most complicated rooms in your home to pack, we offer you kitchen packing services. You don’t have to be under the stress because of packing your fragile items such as dishes, pots, pans, spices and other little accessories. Let us do it for you, and all your kitchen items will be properly packed and labeled. You can be sure – with our Manhattan moving services your breakables are safe! If you don’t know how to pack one of your household or business items, we also offer packing and transportation of the single item. All you need to tell us what you want to pack, so we can properly prepare for this task. We’ll bring packing supplies and equipment we need to pack your item. When you are planning DIY packing, you have to run around the town to find proper packing supplies. But, when you hire our long distance movers Manhattan you don’t worry about running around town or if your items are properly packed and secured. With our packing services NYC you can count on different packing supplies, from moving boxes, packing tape to furniture padding and blankets. You will get the best quality packing supplies and our professional packers and movers for an affordable price. With our packing services NYC you can count on different packing supplies, from moving boxes, packing tape to furniture padding and blankets. When your items are properly packed and ready for the move, do you need a safe place to store them? 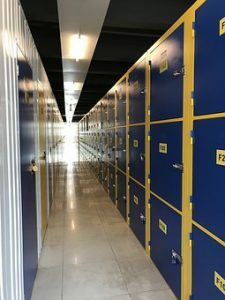 Thanks to our safe Manhattan storage units we can also help you store your items safely and efficiently. No matter of the services you need, you can count on our reliable team to handle it. We put your wishes and needs first, so you can count on best quality moving, packing and storage services for affordable price. Our moving crews are skilled to execute all kinds of your moving and packing needs. Our expertise, knowledge and great customer service will make your move stress-free. With friendly and experienced movers you can save time, money and energy. Packing services NYC offered by our Manhattan movers are efficient and successful. 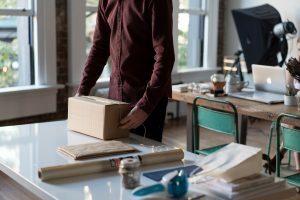 Sometimes packing services can be an additional burden to your budget, but there are many reasons why it is worth every penny. There are many advantages of using our packing services. Professionals know how to pack and store your goods with the utmost care, without risking damages. Our moving crews have the skills and equipment to pack all your furniture pieces effectively. Instead of waisting days on DIY packing, our professional packers can do it in a much quicker time. Manhattan moving crews bring proper packing supplies to your address. So you can be sure your fragile items will be packed with utmost care. Heart Moving is a professional moving company that can help you with every aspect of your relocation – from the planning stages to its very end. And our packing services NYC are a big part of that process – there is no hassle-free relocation without preparing your items for transportation in a proper manner! Give our professional packers a chance and you won’t be sorry! Manhattan packers and movers provide you with a free moving estimate so you can know the exact price of your packing process. Get a free moving quote on our website so you can plan your time and budget precisely.